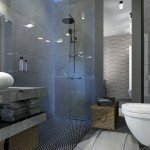 Bathroom designs are difficult for several reasons. 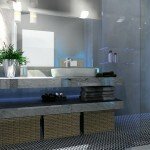 First, they are intimate places, very accurately reflect the tastes and nature of the users. Secondly, there are technical difficulties that arise even with the proximity of water and sewage systems as well electrical installation. 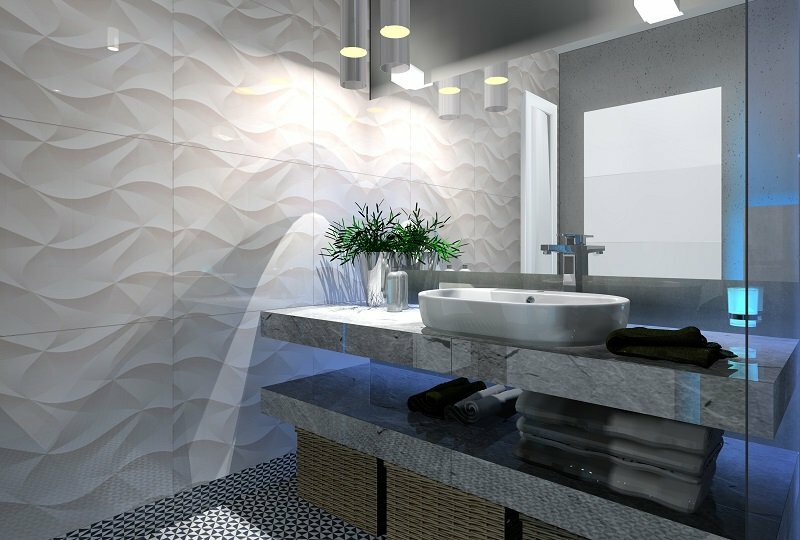 Climate conditions are another problem, because they limit the resources that can be used in bathrooms as finishing materials. 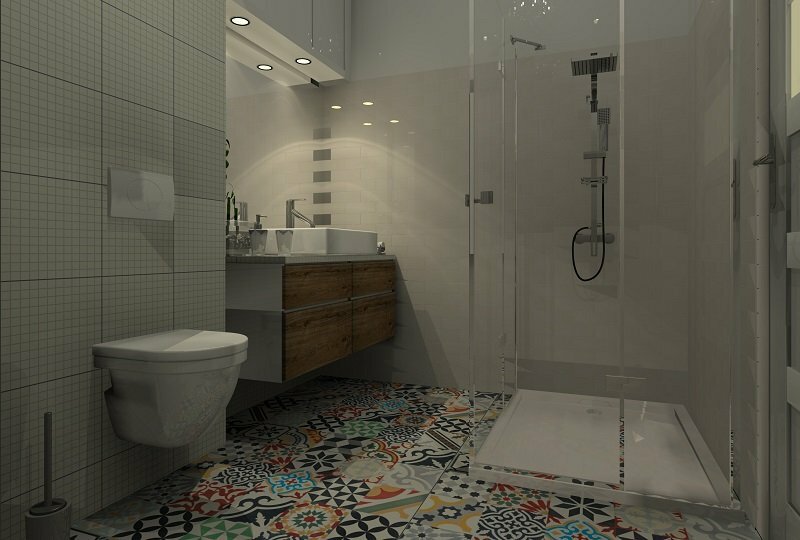 All this makes the designing bathrooms sometimes absorbs a lot of time that should be spent on designing the complete arrangement. 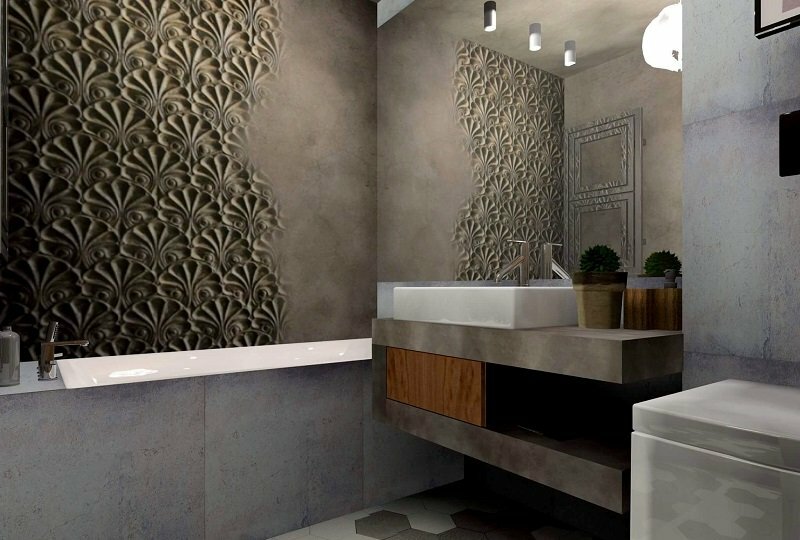 The projects of bathrooms combine variety of materials – visually interesting wallpaper, wooden furniture, the effect of the concrete wall, thereby creating unique and artistic interior. 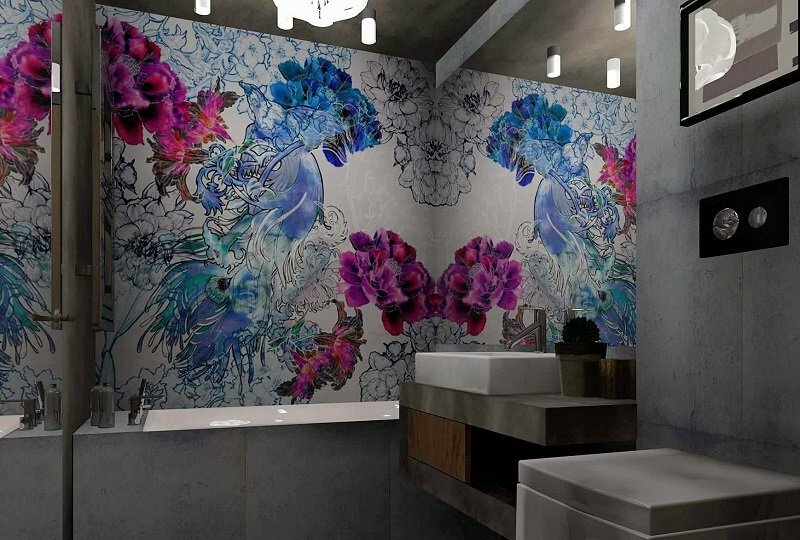 Especially for our customers we prepare various visualizations of bathrooms, adjusting wallpapers, so that the project investor could choose the appropriate version. 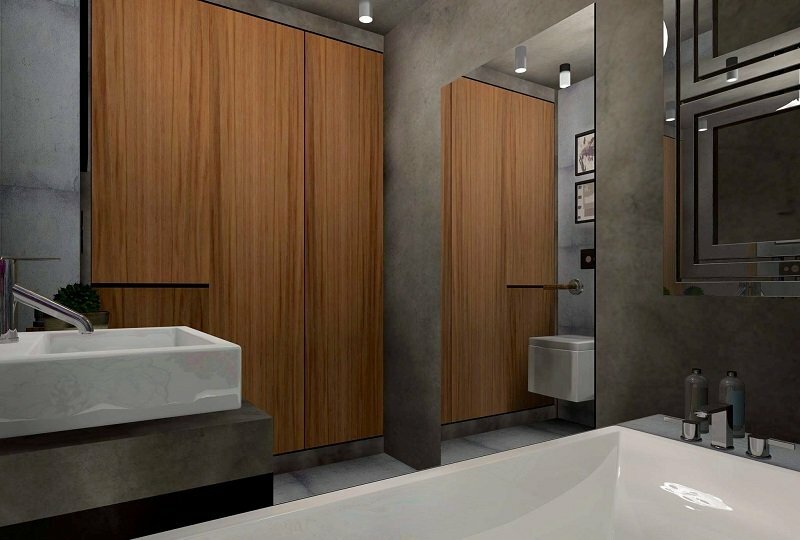 The use of large mirrors in the bathroom enables not only accurate view of a person, but also makes the illusion that the room is much larger. 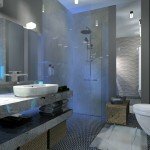 Efficient bathroom lighting, showers, mirrors – all that creates magical atmosphere and is relaxing. 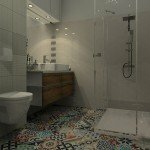 Limited space in the bathroom is a common problem, especially in older flats. This problem usually can not be easily solved, and then the task of the interior designer is first and foremost make every effort to make the room remain functional. 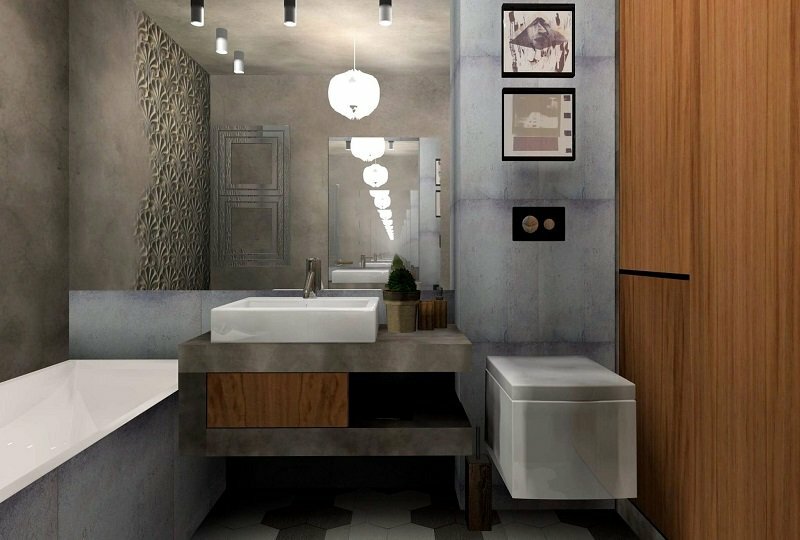 Using simple bathroom furniture is not always the best solution – we also have to optimize the size of fittings and sanitary ceramics in order to have the necessary equipment, but this is another source of problems. 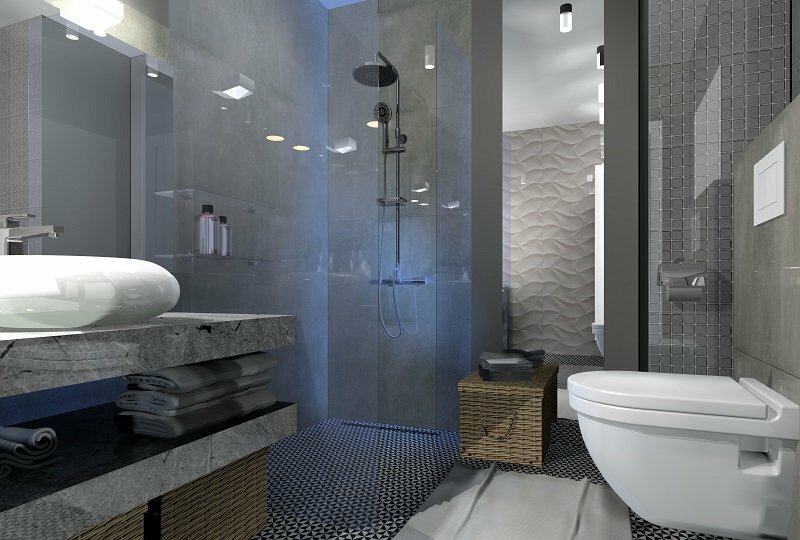 For everyone other bathroom equipment will be considered necessary, and therefore close cooperation between the investor and the designer can significantly shorten the period for preparation of the project and increase the satisfaction of the investor. 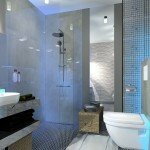 For bathrooms, as in any other case, it is important to very precisely determine how the project should be realized. 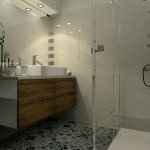 Most of the finishing materials must be applied in a strictly appropriate conditions that are not always easy to use in a bathroom. 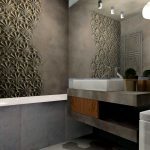 Adequate humidity and temperature must be maintained also during the exploitation of the room, and that means that the choice of finishing materials, although very large, is limited compared to that the designer has when designing a living room or hallway. 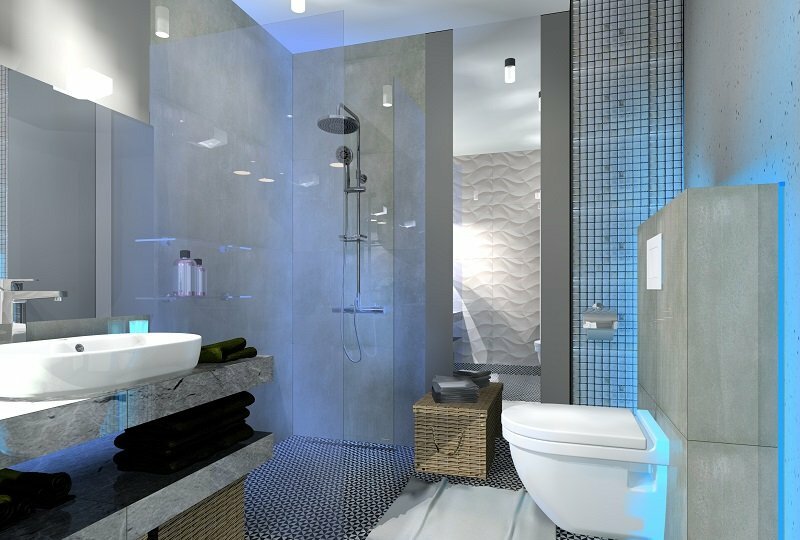 Recently, the projectsof bathrooms draw attention security issues. 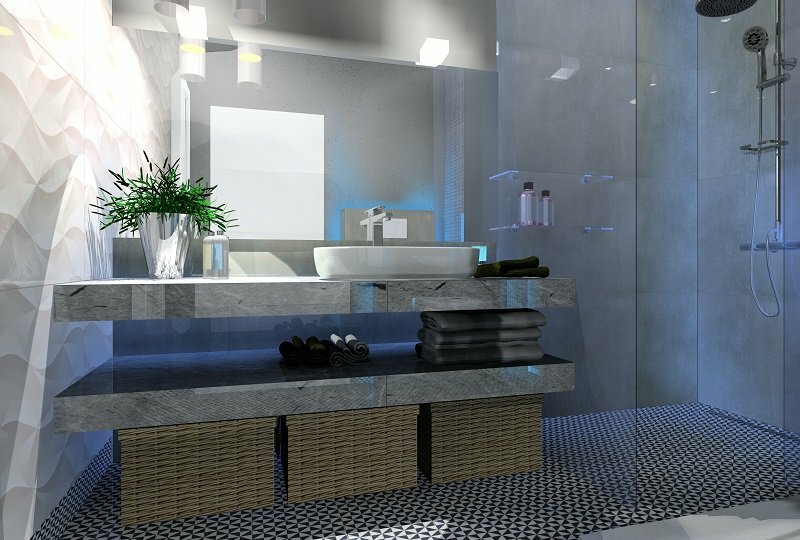 And it is not only about the preservation of relevant parameters of insulation of electrical wiring, but also to minimize the risk of slipping on a wet floor or hitting with your in furniture – a designer must take into account such problems early on, as they may seriously limit the functionality of the room. 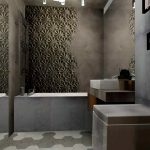 Most of bathroom projects presented as examples of the application of new designs of ceramic tiles is a repetition in slightly modified form hackneyed standards and well-known schemes. Theoretically, this can be a good sign, because it seems that the solutions used for years are excellent – at least in terms of functionality. However, this is not a must, and this is due not only to the shortcomings in the old projects, but also new opportunities that emerged from the moment the new solutuons were developedIn the past, for example, painting the walls in the bathroom was considered beneficial because it allowed the walls to pass moisture, but ordinary paints were not resistant to stains. 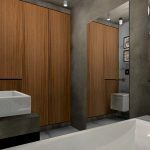 The finishes available today have much better characteristics of use and, therefore possible to be matched with another finishes. Designing bathrooms has also become a more demanding art, because the perception of the bathroom function by investors has changed. 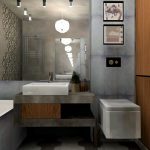 For example, although most investors place washing machine in the bathroom, designers are aware that this is not the only solution, and sometimes technically it is advantageous to install the machine in a kitchen. 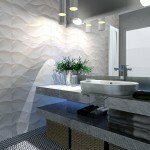 There are many similar nuances – even approach to lighting has changed. 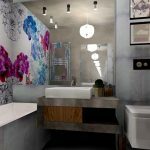 Today, for example, less frequently halogen lighting mirrors are recommended – they were replaced by LED lamps and lighting strips, which once could be a dream only. Bathroom finally ceased to be a room that was closed whenever guests came. 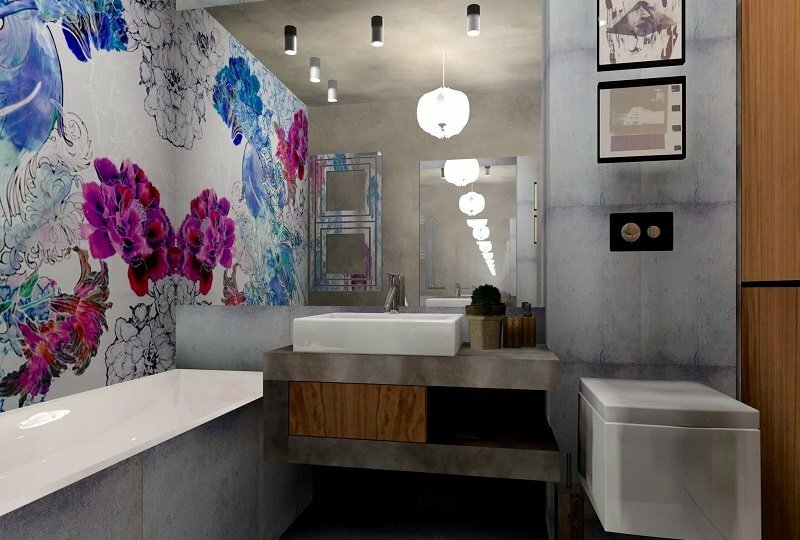 Now the challenge for designers is to combine intimacy with the aesthetics that is fashionable. 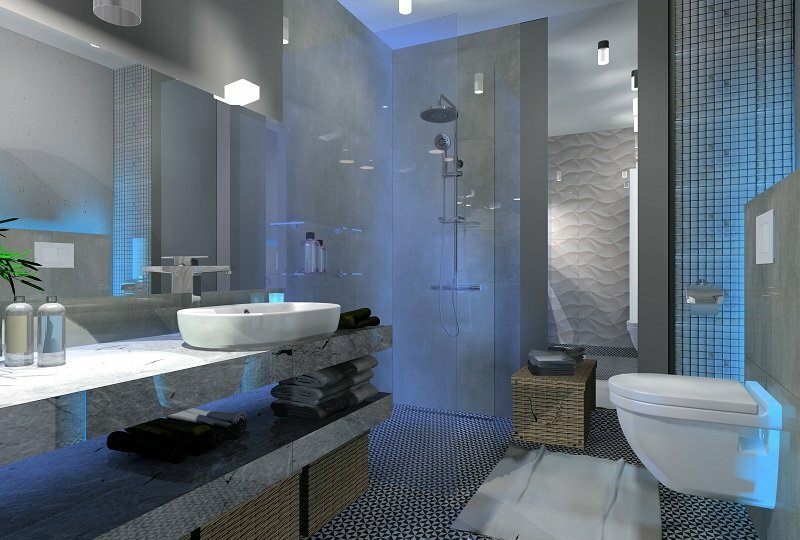 Today, nobody is ashamed to show a bathroom, if it is well designed, and its project has been properly implemented. 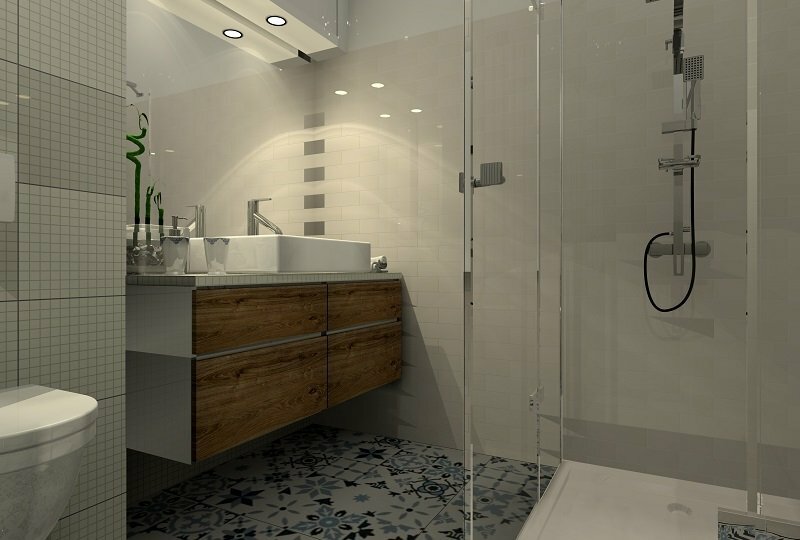 Our approach even to the most basic equipment has changed – instead of baths investors decide to showers, and next to the toilet you can find bidet. 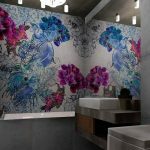 Bathrooms are now works of art, and many investors devote most attention to them, because these are bathroom projects that offer the greatest opportunities, often even greater than the draft stores or offices. So there are two main factors that made the design of bathrooms has become a challenge for even the best designers – especially change of perception of the bathroom by investors, and secondly, new technical possibilities, that made the functionality of the bathroom can actually be increased. Besides this, there is another factor: fashion. 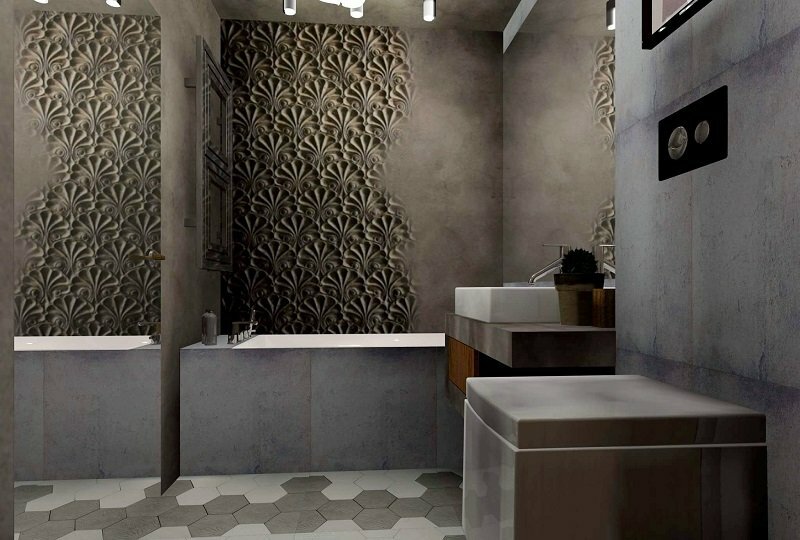 While in the past investors were indulged in fashion when it comes to shops or offices, today according to the model of Western countries, also in Poland more often states that the concept of prestige should not apply to individual rooms, but rather the whole interior, and, as it seems, bathrooms were neglected for years, because today increased interest in bathroom designing is so clear.